You can also find us at iTunes. Hombre was written in 1959 and published in 1961. 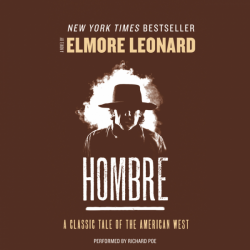 In 1977, Hombre was named one of the twenty-five best western novels of all time by the Western Writers of America. The motion picture, directed by Martin Ritt was produced in 1967. The audiobook was produced by John Marshall Media and Caitlin Garing and released in February 2017 by Harper Collins.